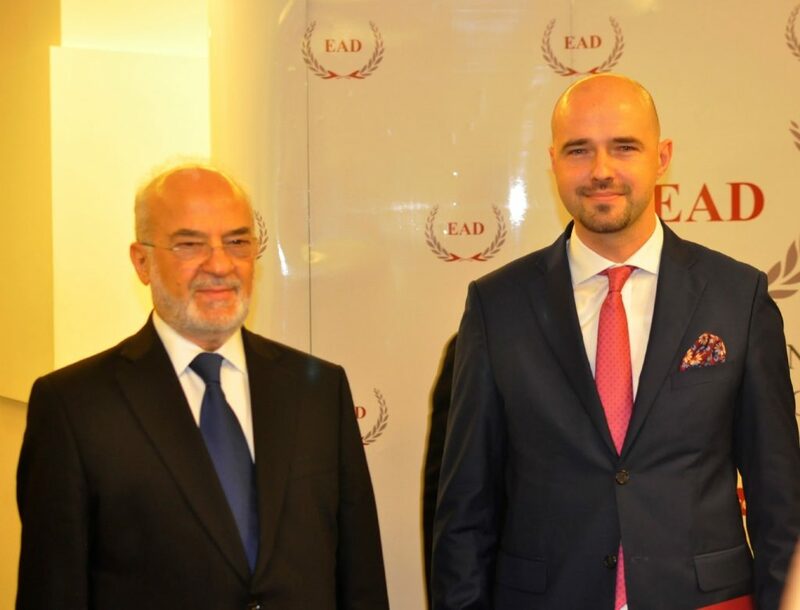 On 25th of November 2016 Casimir Pulaski Foundation hosted a meeting with Minister of Foreign Affairs of Iraq Dr Ibrahim Al-Eshaiker Al-Jaafari organised in cooperation with the Embassy of the Republic of Iraq and the European Academy of Diplomacy. The main topic of the discussion was the current political situation within the Iraq in the context of the on-going battle for Mosul. 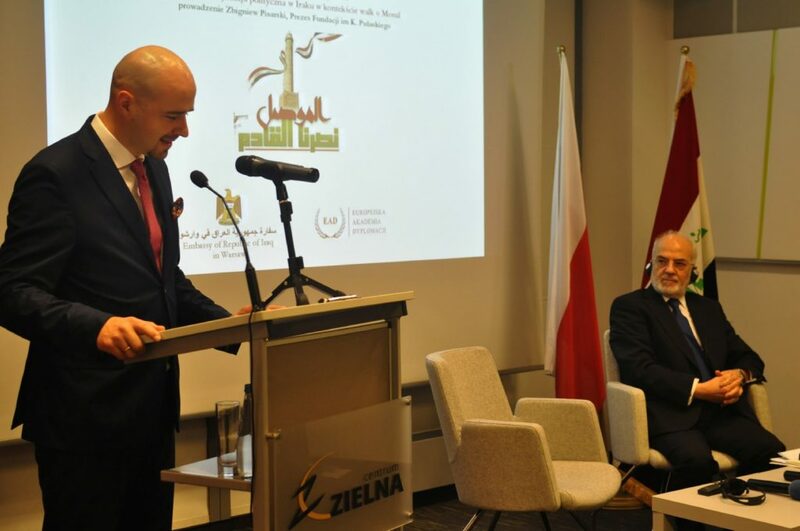 The discussion moderated by the Foundation’s President Zbigniew Pisarski was focused on the strive of the Iraqi government to stabilise the situation within the state after the withdrawal of ISIS from the occupied territory. The guests of the debate have underlined their concern that the government will not be able to manage the relations between the various ethnic and religious groups that were up to this point unified by the fight against common enemy – ISIS. Minister Al-Jaafari has stressed that the main concern of the government is to fight the threat of terrorism and he has emphasized that the terrorism itself should not be associated with the religion, which “cannot be a basis for an aggressive behaviour or conflicts”. Commenting on the outcome of the American presidential elections the minister has stated that the Iraqi government respects the decision of the American society and awaits for the President-elect to assume the office. 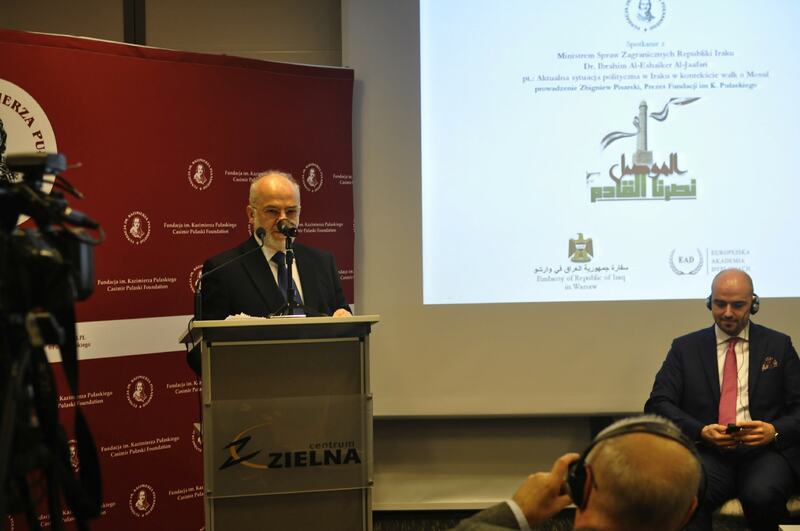 The meeting was part of the official visit of the Minister Al-Jaafari to Poland on the invitation by Polish government. 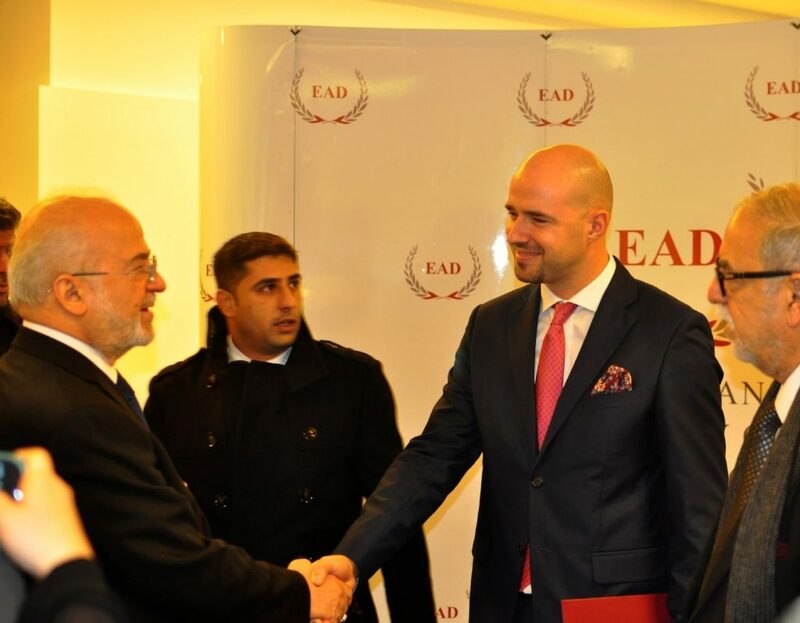 It is a part of a larger initiative by the Iraqi government to initiate a wider dialogue with the European leaders. Some of the goals of the visits are to spread the awareness about the dire nature of the terrorism threat and to enhance the economic cooperation – most notably by supporting foreign investments in Iraq. During the visit to Warsaw the Minister has met with his Polish counterpart Witold Waszczykowski and discussed bilateral relations, support for the investments and trade exchange, as well as help for the Polish companies interested in entering Iraqi market. 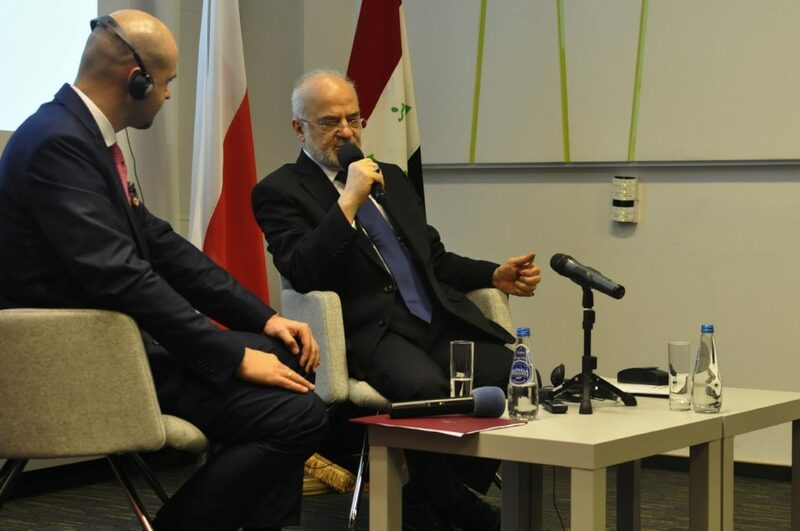 Minister Al-Jaafari’s visit is a proof for the rapprochement in the Iraqi-Polish relations initiated by the reopening of the Polish diplomatic post in Baghdad. Dr Ibrahim Al-Eshaiker Al-Jaafari is an activist of an outstanding merit and one of the leaders of the anti-Saddam opposition. In 1966 he has joined an anti-governmental ‘Islamic Call Party’ and since 1980 he was conducting his actions from abroad. In 2003 he has returned to Iraq to become a member and later the president of the Iraqi Transitional Government that governed Iraq after the regime of Saddam Hussein was overthrown. After the parliamentary elections in January 2005 Al-Jaafari has become Prime Minister of the first democratic government in Iraq. Since September 2014 he is in charge of the Ministry of Foreign Affairs in the government of Haider al-Abadi.